Very high quality that is exclusively used for making high end jewelry in rhombus shaped coin pearls are finally available from our store. Not only the shape but also the AAA rare quality makes this strand of coin pearls very special. The pearls have very high luster with cream rosy overtone, and minimal flaws as the picture shown. 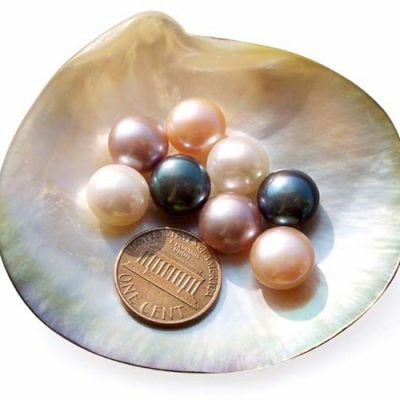 These are the highest quality pearls available for coin pearls. 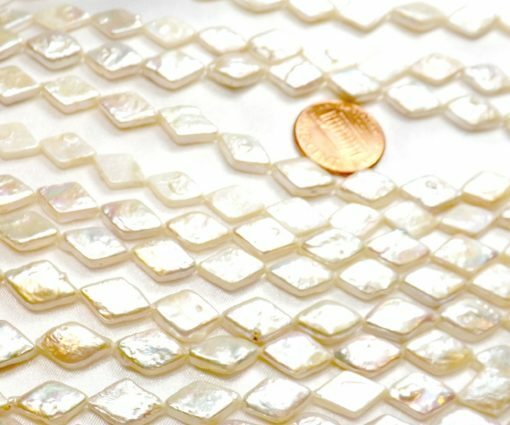 You may already have seen people are selling necklaces made of these pearls for thousands of dollars online or in stores. 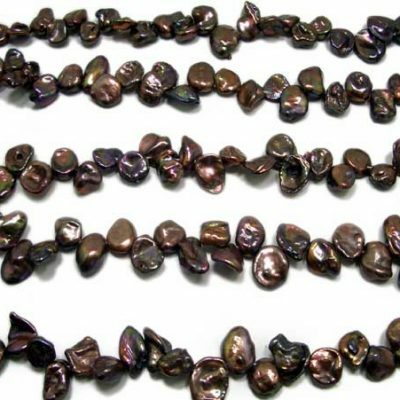 The pearls have a dimension about 8mmx13mm from both cross sections with approximately 31-34 pearls on each strand at an approximate length of 15.5″ long.